During Telltale Games’ PAX West panel, the developer released a new video that offers a look into the second episode of The Walking Dead Game‘s fourth and final season. The episode is called Suffer the Children, and its latest trailer aptly shows us a late-night conversation between protagonist Clementine and her young ward, AJ. The brief scene is as full of dark foreshadowing as it is heartwarming, and no doubt Suffer the Children will be full of just that. The season’s first episode, Done Running, left off with a hefty cliffhanger (spoiler alert!) as AJ shot one of their new supposed allies in the head. The pair had supposedly found a safe haven for kids, but Clementine found the cracks running underneath its surface soon enough. With episode 2, we’ll presumably be dealing with the fallout of AJ and Clementine’s actions, as well as the bandit troubles that already appeared to be plaguing Ericson’s school. 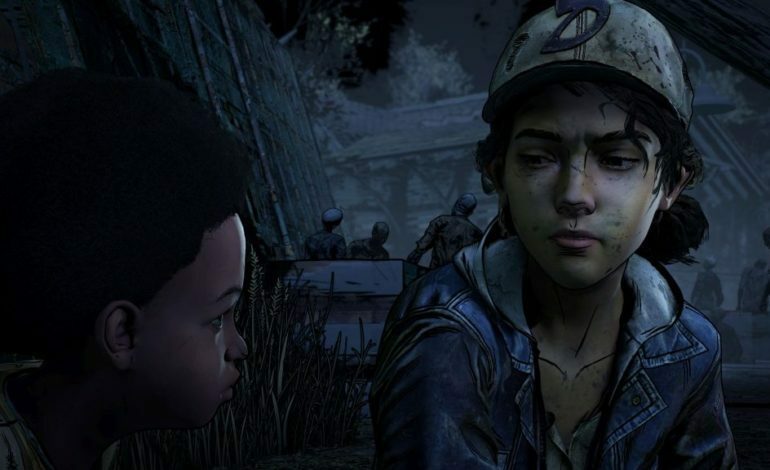 In the trailer, Clementine and AJ share a quiet moment and Clementine tries to remind AJ that he’s “still little.” We’ll see how their dynamic evolves and plays out in future episodes, and whether their relationship will mirror her past mentorship with Lee all those years ago. You can watch the full video below. The Walking Dead: The Final Season’s first episode is available now for PlayStation 4, Xbox One, Nintendo Switch and PC. Episode 2, Suffer the Children, is coming on September 25.